The state of the Muslim girls, in the country is not very promising. Most of them are not allowed to pursue their dreams of gaining higher education. 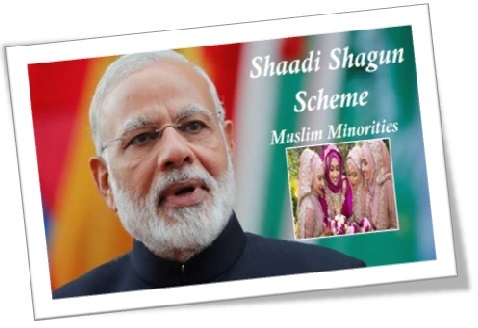 To change the sorry state of the Muslim girls and encourage their parents to let them study till graduation, the central government will introduce the Shaadi Shagun Scheme. The money the girls get will be a gift from the government during their wedding. Empowerment of Muslim women –It is a ploy of encouraging parents to provide higher education to their daughters and assist in the empowerment of Muslim girls. Monetary gift during wedding – The government will provide the selected and deserving candidates with a sum of Rs. 51, 000 during the time of their marriage. Website by MAEF – The MAEF or the Maulana Azad Educational Foundation has already finished the task of launching a portal that will provide information to the interested candidates. Minimum educational qualification – The minimum educational qualification of the candidate has to be graduation. Those who fail to pass the graduation examination will not be given the scholarship. Must be a graduate – Only those Muslim girls will be able to acquire the monetary gift that have already passed the final graduation examination and have acquired the pass certificate. Must be an Indian citizen – The scheme will encompass all deserving candidates, but they must be a legal citizen of Indian to apply for the cash reward. Must be getting married – As the money will be a gift from the government for their wedding, only those candidates will finally end up getting the amount who is getting married. Can be a holder of MAEF scholarships – If the candidates are already receiving any scholarship under the MAEF, even then, they will be allowed to enroll under the Shaadi Shagun Scheme. With the assistance of the scheme, the central government wants to encourage and make the orthodox Muslims aware of the fact that each girl must be educated just like the boys. The country will not develop in the true sense if the women as left behind.